1. What is IPPB ? What are its Objectives? How it will operate? 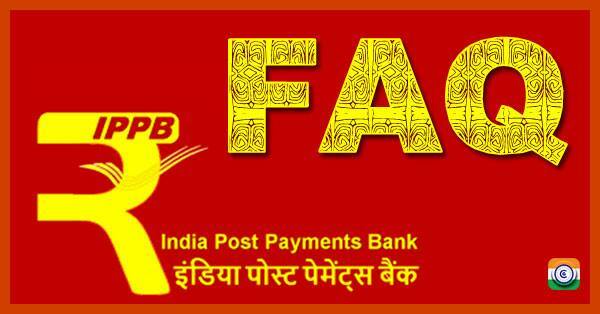 (i) India Post Payments Bank Limited ("IPPB") was incorporated as a company on August 17, 2016 under The Companies Act, 2013, with 100% equity from the Department of Posts (DoP), Ministry of Communications, Govt. Of India and as a payments banking company under Section 22 (1) of the Banking Regulation Act, 1949. (ii) IPPB is visualized as a vehicle of financial inclusion that would complement the existing banking, financial services and payments network in the country to improve overall efficiency, accessibility and convenience in delivery of banking services including Direct Benefits Transfer and social security payments. IPPB, as an organization, is designed to leverage the field network of the Department of Posts and is required to carry out its sales and operations through the workforce of the DoP. IPPB will be responsible for designing the products and services, defining the technology and service delivery platforms, undertaking marketing and third-party tie-ups, setting and monitoring the service quality standards, handling customer grievances, managing the risks of the banking operations, and dealing with statutory and regulatory compliances, etc. 2. Why IPPB is looking for positions on deputation/ foreign service/ engagement for DoP? Requirement of positions on deputation/ Foreign Service from DoP to IPPB is based on IPPB’s business requirements, as success of IPPB hinges significantly on its ability to leverage field-level resources of DoP. In this context, it is imperative, especially in the initial stages, that the persons who are acting on behalf of IPPB at the field level, have a strong understanding of DoP as an organization. 3. Which authority has approved the policy of deputation? Board of Directors of IPPB approved the policy of deputation of regular employees from DoP to IPPB, which is also agreed by Postal Services Board. 4. What is the period of deputation? What is the job profile of posts offered ? What are the employment terms and conditions / service rules? Details are available in the Notification released by IPPB. 5. Will there be any relaxation provided in the eligibility criteria? No relaxation will be provided in the eligibility criteria on age, experience and education. Kindly ensure that you fill the correct information. In case, any incorrect information is provided, your application is liable to be cancelled. 6. Can any details of submitted application be modified/ removed/ added No. Any changes to the application cannot be made after submission of the application. 7. Whether ASPs can apply for Scale- II ? All regularly appointed ASPs, if they fulfill the eligibility criteria can apply for scale –II position. 8. Whether all PAs will be eligible for deputation? All regular PAs who fulfill the eligibility criteria can apply for scale-I position, irrespective of their present place of posting . 9. Whether officials working in LSG /HSG- II /HSG-I/ Post Master cadre can apply for deputation? All LSG PAs/ HSG-II/Postmaster cadre officials who fulfill eligibility criteria can apply for Scale I. 10. Is the experience of CBS/Sanchay Post mandatory to apply for Scale I? As per Section C of notification at least two years hands on experience is mandatory in POSB CBS/ Sanchay Post operations. 11. Whether all GDS will be eligible for deputation? All regularly appointed GDS candidates meeting eligibility criteria will be eligible. 12. Whether DoP official working in deputation in IPPB is allowed to appear in DoP departmental exams for promotion? Yes, subject to fulfilment of eligibility criteria of that particular exam. 13. Whether reservation is applicable in the selection? Being the deputation posts, rules of reservation are not applicable. 14. Will any model question papers be made available? To be notified in due course of time. 16. When will the results be available for the exams Results will be published on www.indiapost.gov.in in due course of time.